You are beautiful. You are unique, capable, lovable. You are wise, strong, and worthy of respect. You are perfect, whole, and complete, just the way you are. Your body is a temple. Your body is a gift, one that should be cherished and cared for, not despised and hated. You are good, exactly as you are today. The majority of women I know struggle in some form, at some time with their weight, some more than others. Many woman I know are in a constant battle to lose weight, fit back into their pre-pregnancy pants, look good on the beach, or simply stop the cycle of gaining and losing weight and finally maintain what they consider to be a healthy weight. They set realistic goals for themselves, join a gym, buy the latest diet books and potions, buy cute new workout clothes and get started, excited that this time, they will finally lose the weight and keep it off. This time they will finally be successful in reaching their goals. This time, they will start to finally feel good about themselves when they look in the mirror. But here’s the thing, you don’t need to lose weight to feel better about yourself. You can feel better about yourself today, and you should. You are beautiful, today, exactly as you are, no matter how many “extra pounds” you feel you need to lose. I’m not saying that losing weight is a bad thing. I’m not saying we should never work to improve ourselves or set goals to live a healthier life. I absolutely believe in living a healthy life and usually that comes with a healthy weight (not necessarily a “skinny weight”, for what its worth). What I would like to offer is that maybe we go about things from the wrong angle. What leads a person to try to lose weight is usually criticism, self-hatred, and a poor body image. 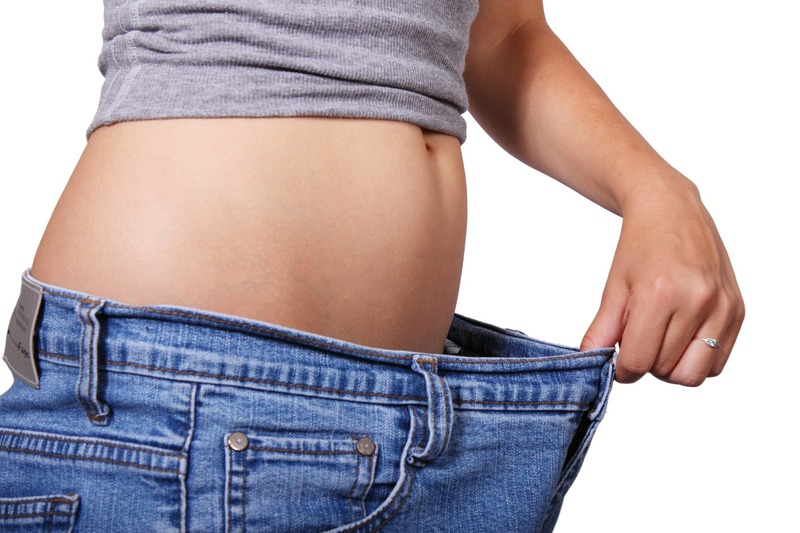 The reason people decide to start on a diet is often because they are experiencing frustration with themselves; they notice the extra rolls, their pants are way too snug, that extra chin has appeared, or any number of other negative aspects of their appearance has caught their eye and caused them to condemn themselves and their lifestyle. Self-condemnation, criticism, and hatred are pretty terrible motivators. 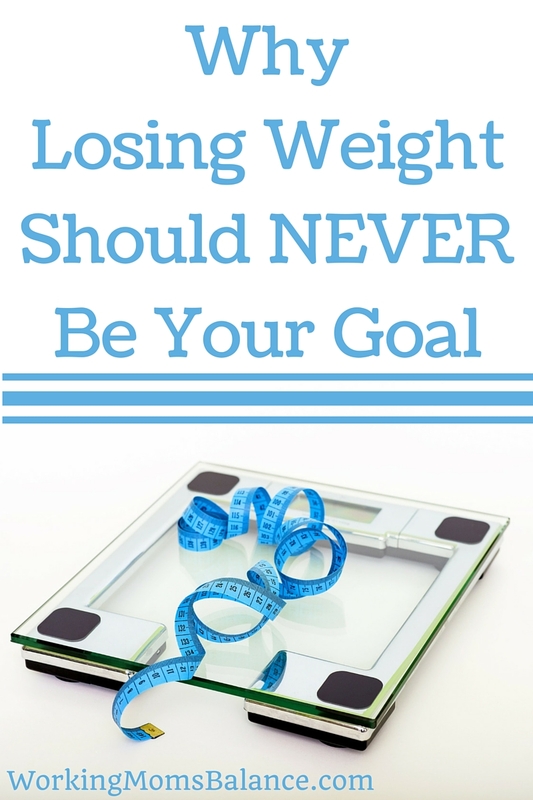 Do you want to know why you fail every time you try to lose weight? Because you start from a place of hating the very person you are relying on to change things. Talk about dis-empowering. You look over your body and all the “extra pounds” you feel you have. You give your way too snug pants the evil eye. You criticize yourself for eating too much, eating too late, eating the wrong stuff, not working out, not doing the right workouts, not sticking with your plan, not starting sooner, and so on. You decide that now is the time, you will start today. You make a plan that involves eating all kinds of food you hate, avoiding everything you love, and forcing yourself into miserable workouts you can’t stand. It doesn’t last very long, and then you hate yourself even more. The pain you are experiencing is not actually a result of your body size. The pain you are experiencing is not because of your extra pounds or your too tight pants, its not because of the cheese fries or the sugar tooth. The pain you are experiencing is a result of your criticism about your body and your size and your actions. Your own thoughts about yourself are making you hate yourself. And when you hate yourself, you will never lose weight, you’ll never reach your goals, you’ll never keep the weight off. You have to realize that you are beautiful and wonderful and unique and special and just fine exactly as you are. The secret to happiness is contentment, it is wanting exactly what you already have. That doesn’t mean that you have to stay that way forever. But always focusing on what you don’t have right now, focusing on how you don’t look right now, just feeds negativity. And for most people, negativity means sitting on the couch eating chips and cookies. You always hear people suggest that you find pictures and images to motivate you. “Create a vision board of how you want to look.” “Hang up the itty bitty bikini to help you push toward your goal.” But, in my experience, images of other people (or even you in a smaller size) and tiny outfits that don’t fit just brings more pain and shame. It’s a daily, constant reminder that you are “not okay”, that you are not acceptable, that you are not worthy until you match that picture and fit in that bikini. But you are okay and acceptable and worthy and just fine, exactly as you are. You want to lose weight? You want to figure out how to stick with your diet? You want to know how to keep the weight off? You want to know how to stop overeating and emotional eating? Stop making those things your goal. Stop creating goals that point out your failures and flaws. Stop criticizing yourself and learn how to love and accept yourself. Stop beating yourself up and start empowering yourself to do amazing things, and then you will. Losing weight should never be your goal because it causes self-hatred, criticism, and a poorbody image, all of which feed the overweight cycle. 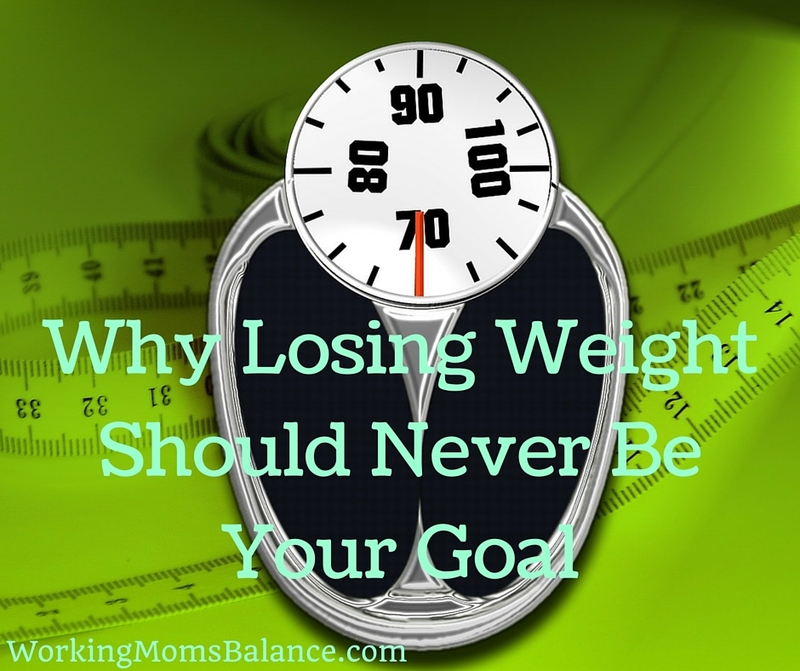 Instead of weight loss goals, you should set healthy, empowering goals. Goals that will build on the strength, health, and beauty you already have. Do you enjoy running? Create a goal to run a 5k. Do you love the feeling of being strong and capable? Set a goal to see how fast you can work up to doing 50 push ups in a row. Are you excited for Spring and the chance to get outdoors? Make it your goal to go for a walk around the block every single day this Spring and Summer. Have you noticed how much better you feel when you eat healthier foods? Start with a goal to drink a green smoothie every morning to start your day on the right foot. The difference between “I want to lose 50 pounds” and “I want to run a 5K” is your focus area. The first goal places your focus on what you consider your weaknesses and failures (the extra pounds), the second goal places your focus on your strength and abilities. The second goal helps you start from a place of acceptance right where you are today and empowers you to work toward a stronger, healthier place. Live an amazing, abundant, purposeful, healthy life right now, no matter how many pounds you feel you need to lose. Accept and love yourself exactly as you are and set goals that empower you and excite you to do amazing things with your life, no matter what the number on the scale says. You are strong, beautiful, and capable. You are worthy of self-respect, self-acceptance, and self-love. Empower yourself. Build on your strengths, your passions, and your desires. Create healthy goals that will take you from the amazing place you are today to the incredible places you don’t even know are possible tomorrow. I love this article, because I have found this to be true in my own life. For years I have done the diet yo-yo thing. At the end of last year I knew that something had to change. So I approached losing weight with an attitude of “I am a capable woman who can change.” I decided to focus more on making right decisions concerning my health. So I am now on a journey of making small changes that not only help me lose weight, but will be attainable in the long run.